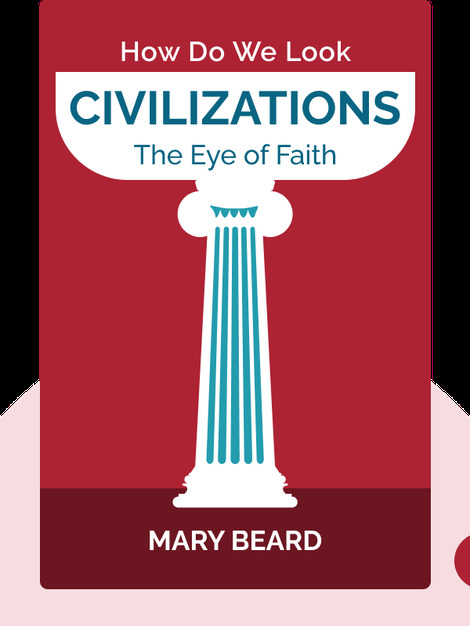 Civilizations (2018) is the companion to a major new BBC documentary series co-presented by renowned classical historian Mary Beard. Divided into two parts, it takes a close look at the relationship between civilization and artistic representation. Beginning with the history of depictions of the human form, Beard moves on to cast an eye over the long and intimate relationship between art and religion over the centuries. 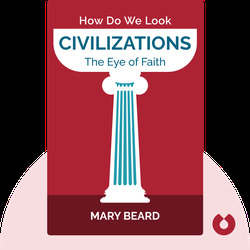 Mary Beard is a professor of classics at Cambridge University and a bestselling author. An academic more than happy to stray beyond the confines of the ivory tower, she’s been called “Britain’s best-known classicist.” Beard is a regular contributor to TV and radio shows and is an unmissable presence on Twitter. Her previous books include SPQR: A History of Ancient Rome and Women and Power: A Manifesto.